This fall was particularly glorious with plenty of vibrant colors. 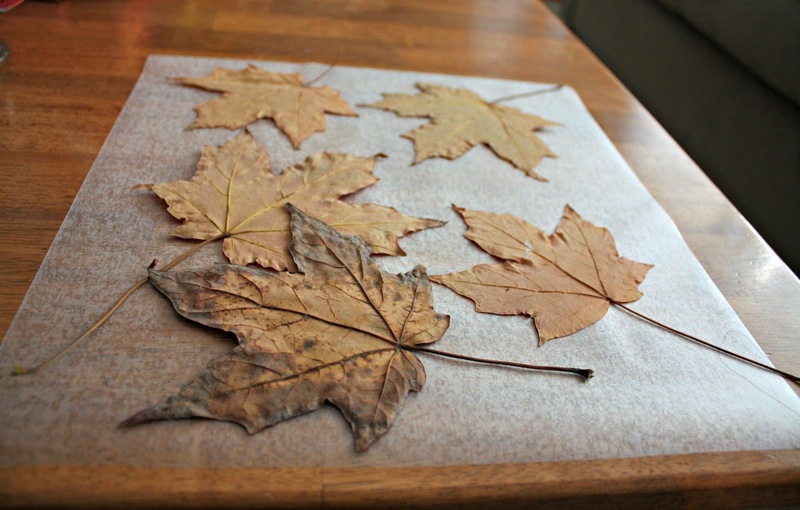 We managed to pick up a few leaves for pressing for projects. Time got ahead of us and we did not complete our fall project until a snowy afternoon. 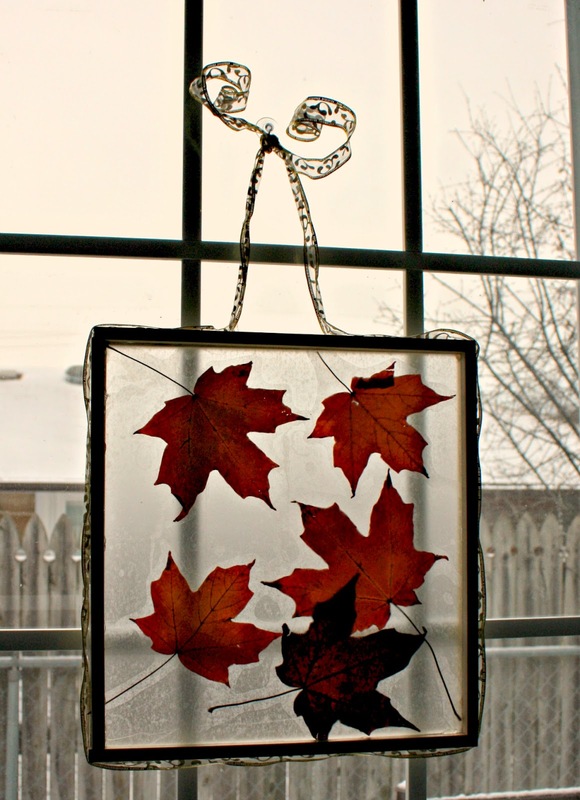 After we finished our Fall Leaf Window and hung it up, I realized that our timing could not be better because the new addition on my real window added quite the pop of color to a more dreary winter scene. First, we established our measurements and choose to make a window that is 1' x 1'. 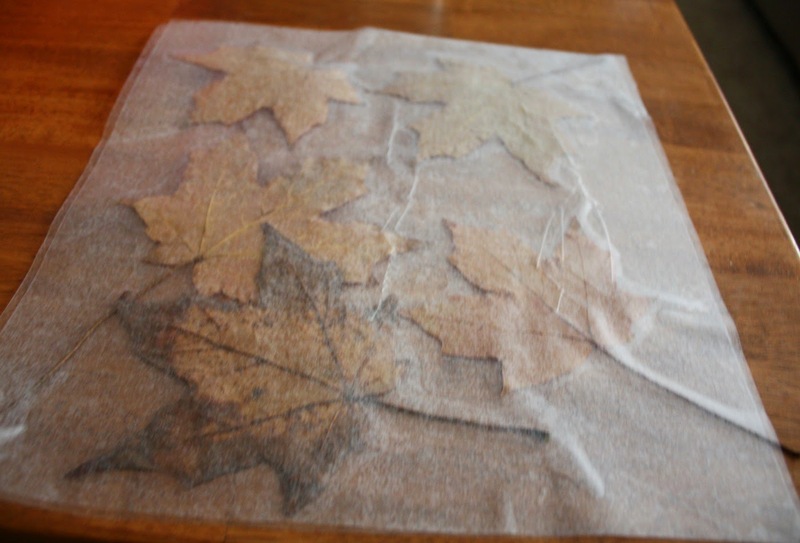 Then, we measured out our contact paper and cut out two 1' x 1' pieces. 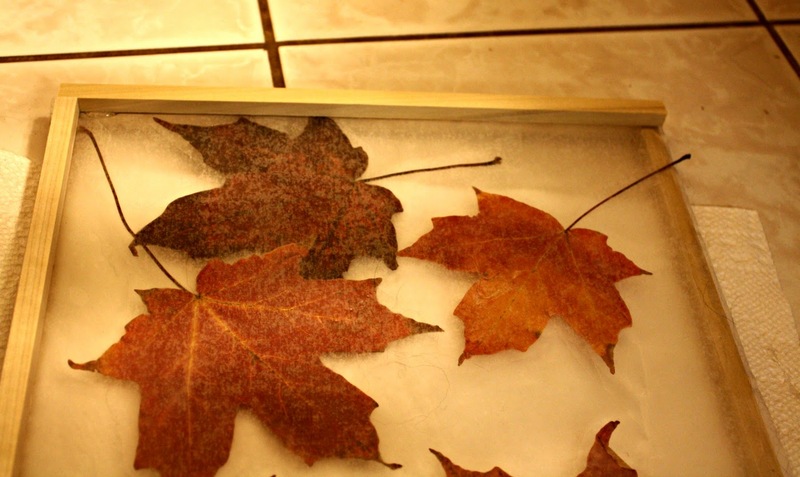 We chose our leaves and started sticking them on one piece of contact paper. 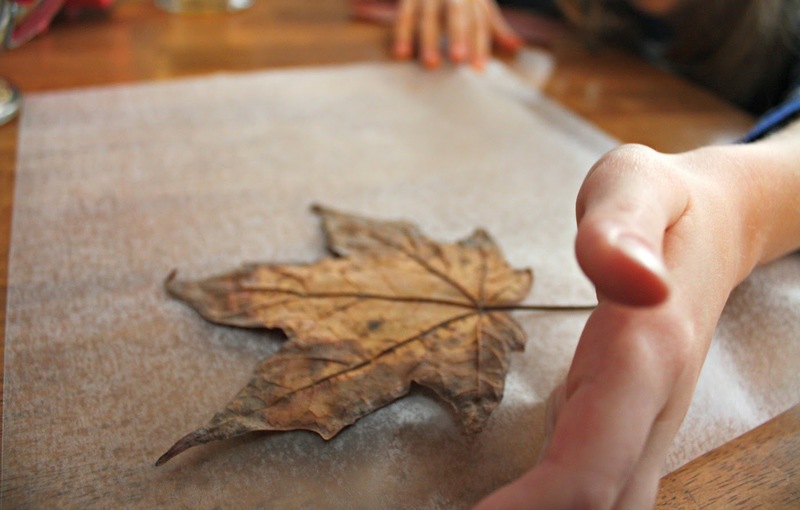 Once we had our leaves laid out, we unpeeled the second sheet of contact paper and carefully applied it to the back of the leaves. Meanwhile, my husband cut our dowel rods making 8 1' long pieces. 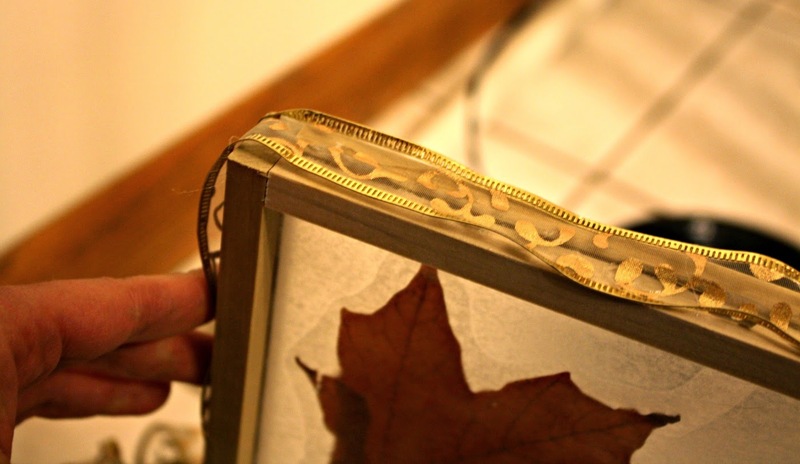 Then, I hot glued a frame around one side of the "window." When doing this, pay particular attention to properly lining up the rods. 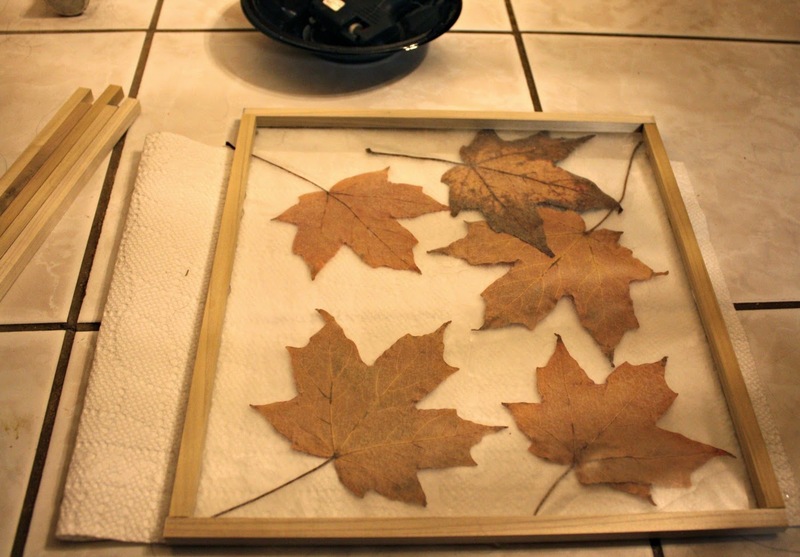 After the window dried, I flipped it over to glue the other side of the frame on thereby sandwiching the contact papers in between. Next, I trimmed excess contact paper sticking out beyond the frame. Lastly, I glued the ribbon around the frame leaving enough unglued at the top to tie a loop for hanging. 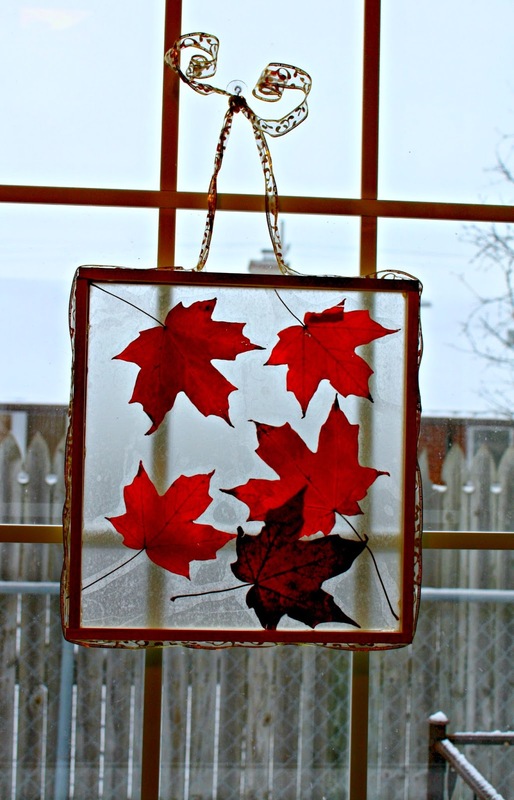 Now, the window is ready to hang!